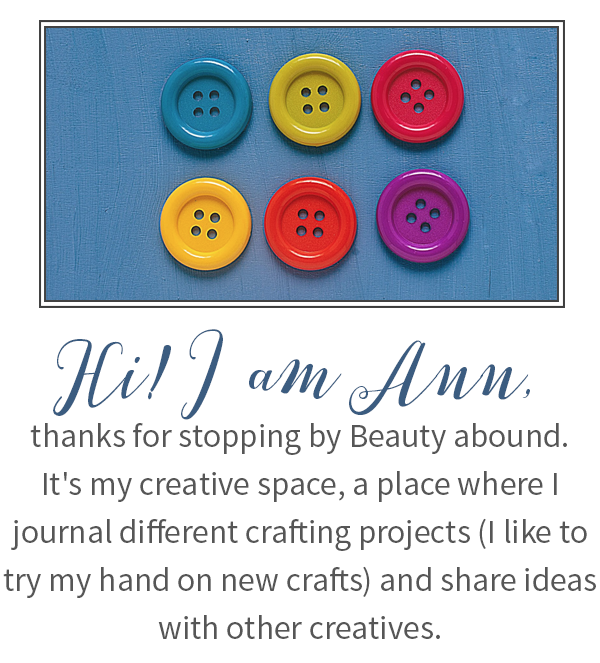 Last week i mentioned i had been working on a different project that was not yarn related and today i wanted to share it here on the blog. The canvas tote bags have been alot of fun to work on, at first the hand stitching was quite a challenge because i have not done it in a long while but once i got the hang of it, it got much easier. 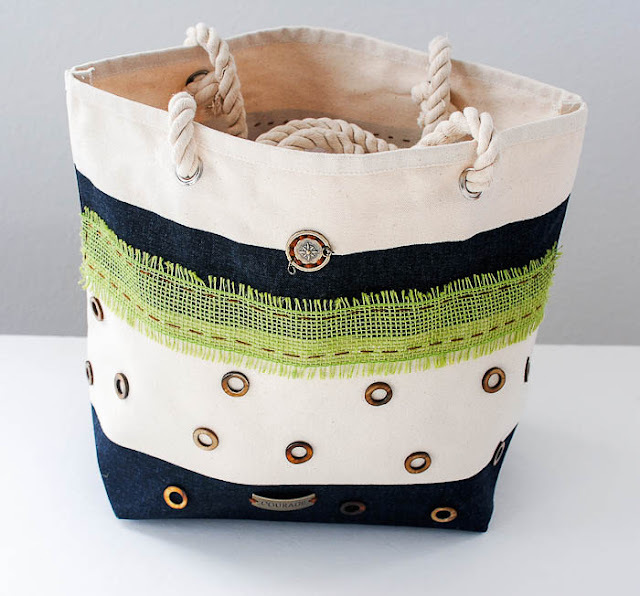 I had thought of using lace instead of the burlap but it occured to me lace might be too delicate on the canvas. 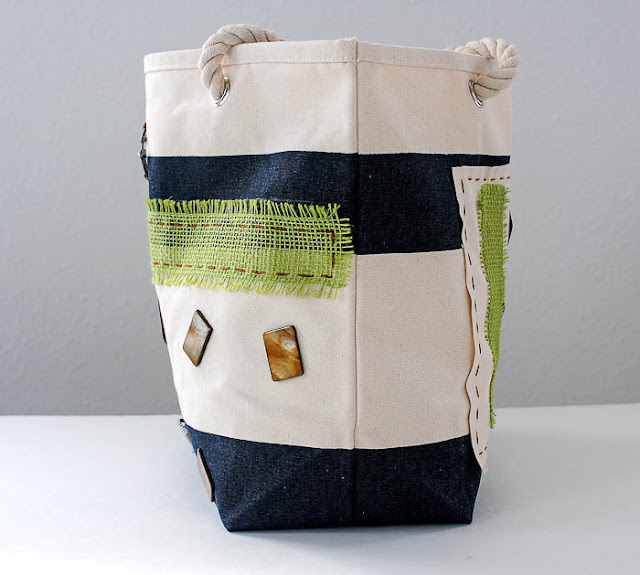 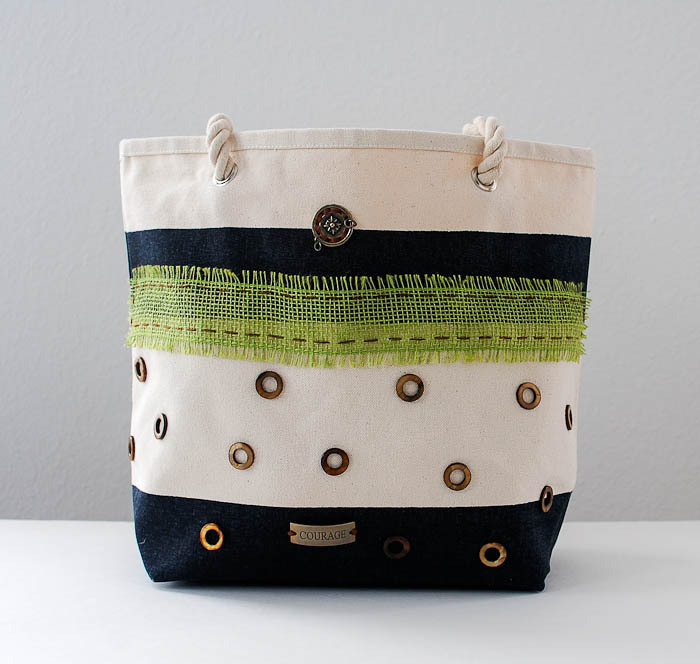 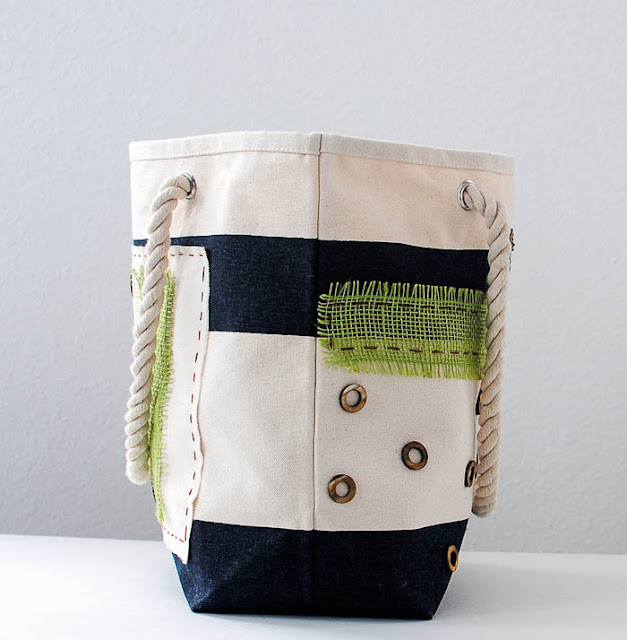 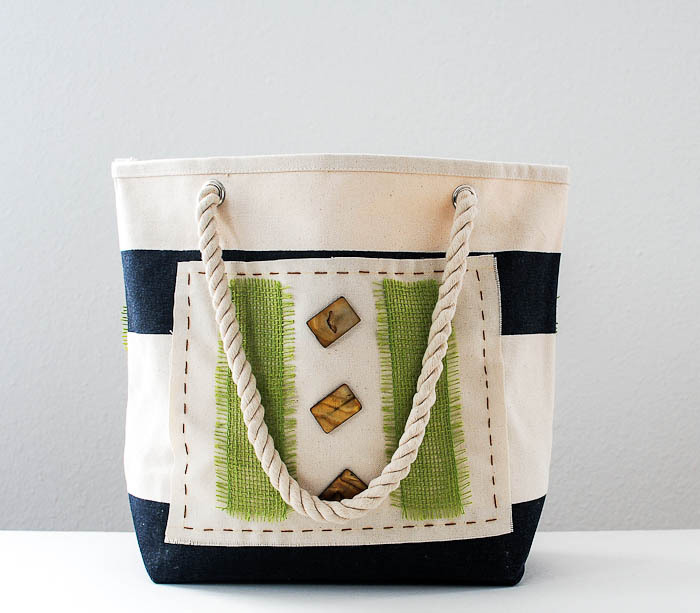 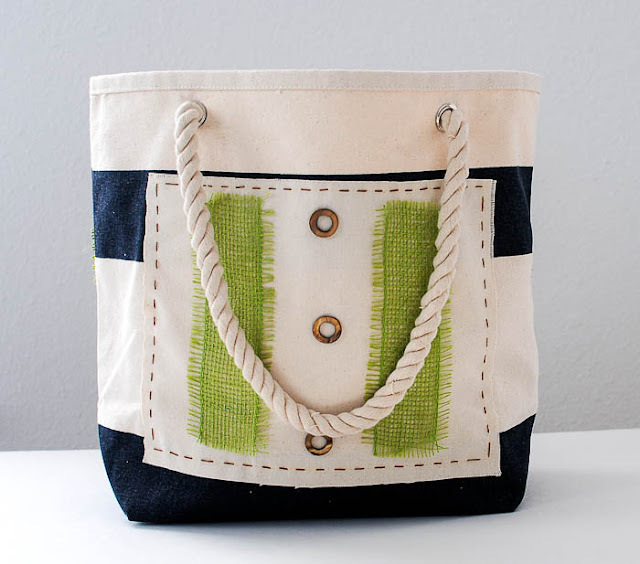 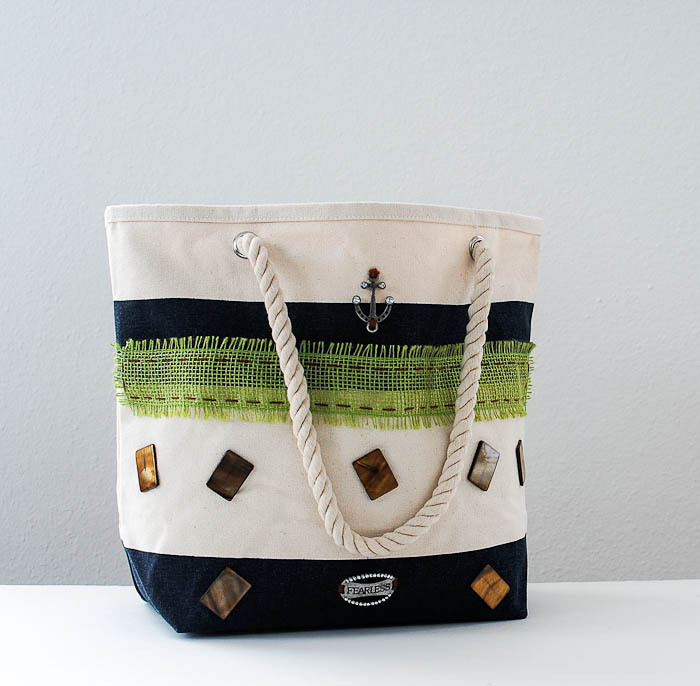 I like the texture of burlap and the green color adds some natural, earthy element to the design of the bag and looks great with the other materials used.